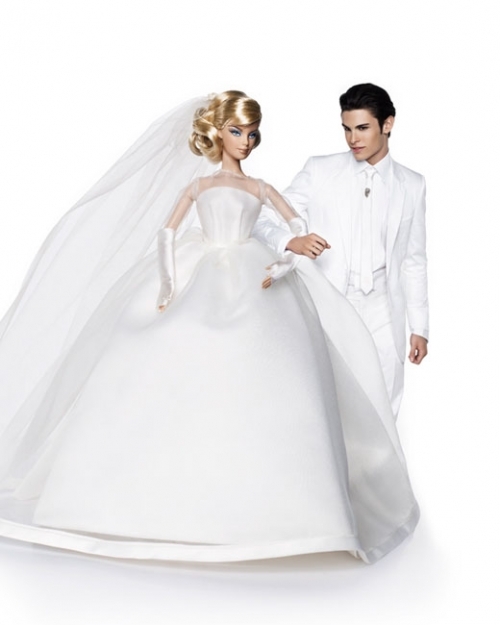 If you thought that the Barbie Fashion Show 2009 at Bryant Park Tent was the end of it, you’re wrong…it’s just the beginning of the celebration of Barbie’s 50th birthday! 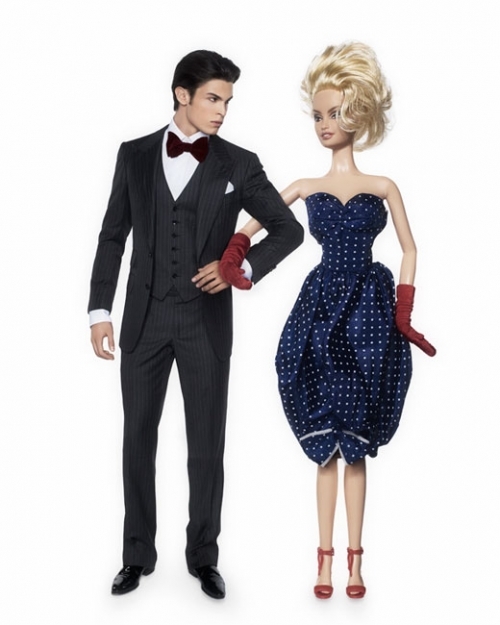 Karl Lagerfeld has put together an exhibition of “Barbie and Ken” featuring Barbie striking a pose with model Baptiste Giabiconi as Ken for colette! In the gallery you’ll see Barbie, “in swimsuit, cocktail dress or a pair of jeans” super fab, the outfits are so nice! For all the lucky people that live in Paris or will be visiting on March 9-15, go “check out our Barbie and Ken windows and the high security exhibition of the very first Barbie and Ken dolls, only on March 12th.” No wonder Sarah from colette was at the Barbie fashion show, this is the time when the grass is greener on the other side! colette always puts together one of the best stuff! I <3 Karl Lagerfeld!